Anyone can claim to be at the leading edge of the industry or a thought leader, but how many people put themselves ‘out there’ and go into print as authors, securing the backing of one of the world’s leading publishing companies like the TSO? This book was written by Rod Sowden (Aspire Europe’s MD). It started life as a guidance for one of his customers, but later developed into a course and finally evolved into a book. It evolved as a result of P3M3® assessments, spotting a systemic problem with planning in most organisations which we found to be a global issue. The book helps to pull all the threads and concepts together into one practical guide that extracts the best from many bodies of knowledge around the world. 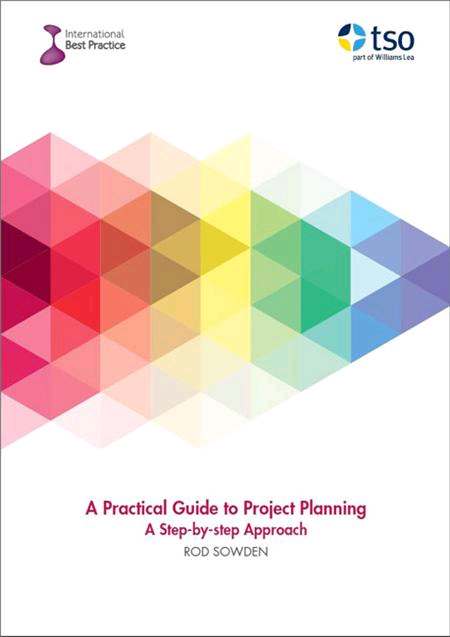 We are confident this book will make a difference to the success of your projects so why not take a look inside! Contact us to find out more and how to obtain a 10% discount when purchasing through us. Back in 2008 Aspire Europe started delivering maturity assessments (using P3M3®), part of which is reviewing how effective organisations were at planning. Our experiences from these maturity assessments and working with clients, is that planning is an area of weakness for many organisations. this article goes back to basics and identifies one or two of the reasons for this. Clear responsibilities and tasks for all the main roles involved with planning, which is everyone involved with the project! At the heart of good project management is effective planning and effective stakeholder engagement. We are offering a 50% discount on these eLearning courses to help you get ahead with these two core skills. To get this discount on both of the below courses (£37.50 for 12 months license), please use the booking codes PPILAPRIL16 or SMILAPRIL16 when contacting our Course Manager. Good planning is at the heart of good programme and project management. However, all too often the good practice learned on training courses is not put into practice in the real world. Would you like to put the concepts of planning into practice to construct a viable plan? Our Stakeholder Management course provides you with a unique opportunity to attain not only the theoretical knowledge of stakeholder management from our expertise as thought leaders in this area , but also attain an understanding of the practical application we have acquired as accredited consultants assessing organisational performance.